I have met his mom in person. she's 5'7" tall. Photos of Day 2 on Jeremy's hand-on sessions with the young kids on dribbling and handling the rock. 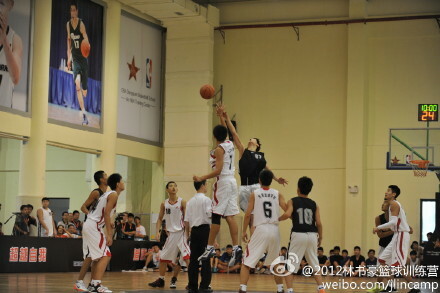 Jeremy Lin demonstrating penetration and jump-shooting. The kids putting what they learnt into their practice and scrimmage. 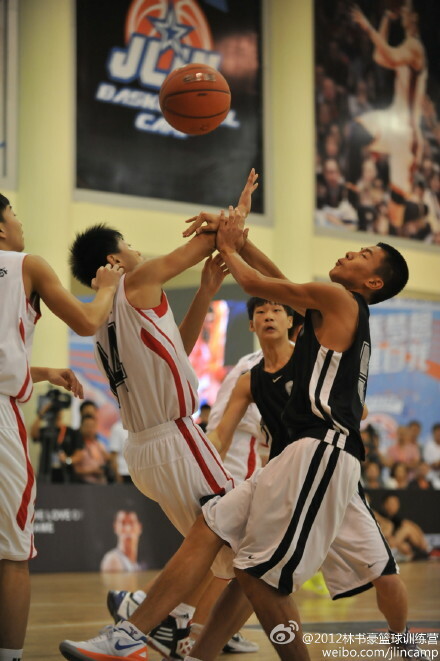 So some of the best players of the camp had the chance to play in a full court scrimmage. And right after that, Jeremy also changed his shoes and together with Joseph and the coaches played against a team composite of the best players of the camp. 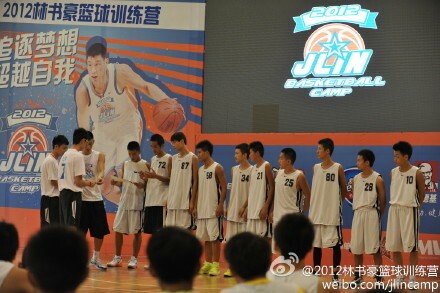 The 2012 JLin Basketball Camp came to a successful closure with Jeremy handing out to each participant a certificate of completion. So it seemed Jeremy's China trip had come to an end. 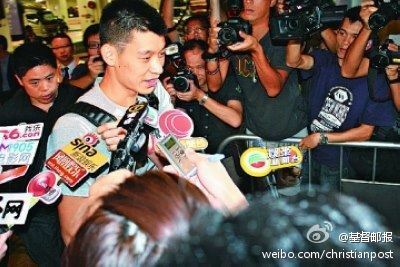 He left Dongguan and arrived Hong Kong SAR of China by a van this evening (August 22). There was not much fans waiting but still quite a number of press/TV reporters outside of the hotel, probably not that much publicity of when he will arrive, and where he will stay. This is Jeremy's first visit to Hong Kong. He will spend his 24th birthday (August 23) in Hong Kong, and he will be the main attraction at a religious Christian testimonial sharing session: The Story Behind Linsanity 林旋风： 生命灌篮 on Sunday (August 26) at the Asia World Expo, a major exhibition/conference hall for Hong Kong that can accommodate upto 8000 audience. He will probably leave on Monday (August 27th) to fly back to Taiwan again. Here are some photos of Jeremy arriving at his hotel in Hong Kong.